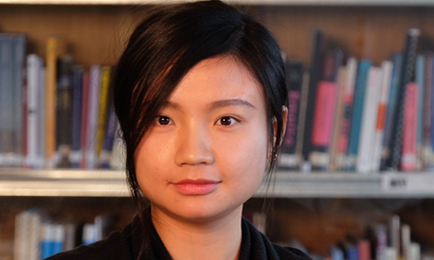 Shiyu Yang has been a Ph.D. candidate in the Chair of International Urbanism since October 2016. She studied architecture in Tsinghua University in Beijing and obtained her Bachelor Degree of Architecture with distinction in July 2014 and Master Degree of Architecture in July 2016. In 2013, she studied architecture and urban design in Technical University of Darmstadt as exchange student. She is currently working on her doctoral dissertation on Space production by migrants in urban villages in China – the case of Beijing. It is based on extensive field research on urban villages in Beijing, as well as in Pearl River Delta, adopting qualitative research methodologies. Her research interests include informality, migration, housing as well as Lefebvre’s theory of space production. During her study in Beijing, Shiyu took part in various transnational joint design studios and workshops with different universities, including Technical University of Berlin in Germany, Technical University of Vienna in Austria and Yale University in the USA. She also worked in several architecture offices and was a consultant in a research project led by Beijing Municipal Institute of City Planning and Design, which studied urban planning tools of megacities. Besides, she used to be a teaching assistant of summer term in Tsinghua University and was a coordinator for younger bachelor students from 2013 to 2016. Since April 2017, Shiyu has been teaching in seminars within the Master Program of Integrated Urbanism and Sustainable Design (IUSD) in the University of Stuttgart. Meanwhile, she is also an architect and urban designer in practice based in Stuttgart, engaged in various housing projects and competitions in Stuttgart, Munich and Überlingen.